Perhaps you have followed the story that the feds classified twenty-eight pages of the 9/11 Commission’s report. This suppression, roughly ten percent of the entire report, is a great example of self-censorship. To censor in this context means to examine material that is about to be released, to suppress any parts that are considered politically unacceptable, or a threat to security. We often think of censors acting to suppress material that originates outside of government. The 9/11 report originated inside government. 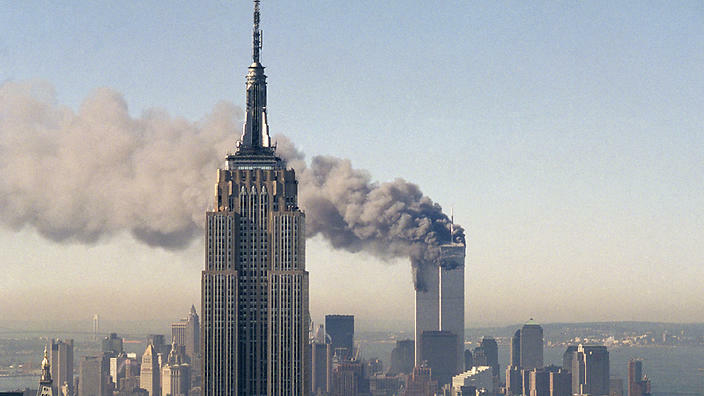 The twenty-eight pages issue rose in the attention hierarchy early in 2015, when Zacarias Moussaoui testified to a federal judge that the Saudi royal family contributed financial support for the 9/11 attacks. After Moussaoui’s testimony, a number of senators demanded that the executive branch publish the missing pages. The White House refused the request. We don’t want to hurt relations with Saudi Arabia. We don’t want to open that can of worms. It’s all water under the bridge and we have to put it behind us. I’ve used standard phrases – can of worms and water under the bridge – to communicate quickly the standard thinking that underlies arguments about why secret information should remain secret. It’s strange to classify any part of a public inquiry. What was the 9/11 Commission’s purpose in the first place, if not to publish its findings? Who ordered this particular section of the report classified? Follow the money is the investigative principle here. When you pay money, you pay for something. If Saudi government officials paid money to finance the 9/11 attacks, you have to answer the question, what were they paying for? All of the evidence we have suggests Saudi involvement was not accidental or an innocent mistake, nor was it unrelated to plans laid within the United States’ own national security state. Remember that Saudi Arabia at the time was a close, close ally of the United States. Members of the Bush family and members of the Saudi ruling elite had cordial relations that went beyond shaking hands at photo ops. In our game of great power politics in the Middle East, Saudi Arabia’s weight is similar to Israel’s, plus it has oil. If the 9/11 Commission found that the sources of money for the 9/11 attacks originate in Saudi Arabia, that would be big news. Why would it be big news? Because it would bolster suggestions that 9/11 was a false flag attack. It would support suggestions that officials brought down WTC 7 in order to conceal evidence. It would support suggestions that Osama bin Laden was not the principal author of the attacks. It would support the idea that the United States government knew about the attacks ahead of time, and aided their success. 9/11 was a political crime, in the same way that Kennedy’s murder was a political crime. To say a crime is political, is to say the people who carried out the crime have political motives. The perpetrators of political crimes operate in secret. They fail in their purpose if their plans become public. No evidence about political crimes, collected after the fact, ought ever to be secret. Concealing evidence about political crimes not only obstructs justice, it also helps perpetrators achieve their aims. Recall Kennedy’s assassination, and Lee Oswald’s murder as well. The people who had both men murdered achieved their aims largely because we, as citizens, assented to concealment of evidence related to these crimes. Were people fooled in Kennedy’s case because they were scared of the truth, or were they simply fooled? The same question goes for 9/11. Do people assent to official accounts because the truth is unimaginable, or do they assent to official accounts because they have not thought about the evidence enough? In general, members of the 9/11 truth movement recognize they have to overcome both obstacles. The truth is both horrific, and requires some careful thought. If you can face the deep discomfort of ongoing betrayal by people you elect and employ to conduct public business, and if you can reason your way through a lot of partial evidence, you will see the truth for both crimes – JFK’s murder and the 9/11 attacks – readily enough. Esto nos deja en que los impuestos españoles, hoy en día, se llevan más de un cincuenta por ciento del dinero de las personas españolas. Hey there, You’ve done an excellent job. I will certainly digg it and for my part recommend to my friends. I’m confident they will be benefited from this site. Quality content is the crucial to invite the viewers to pay a visit the web site, that’s what this site is providing. Excellent post. I used to be checking continuously this blog and I’m inspired! Very useful info particularly the remaining part :) I care for such info much. I was seeking this certain information for a long time. Thanks and good luck. Hi there, this weekend is pleasant designed for me, because this occasion i am reading this impressive informative piece of writing here at my home. Great website. Lots of helpful info here. I’m sending it to several pals ans also sharing in delicious. And of course, thanks on your effort! Thanks on your marvelous posting! I truly enjoyed reading it, you might be a great author. I will be sure to bookmark your blog and definitely will come back at some point. I want to encourage you to continue your great work, have a nice holiday weekend!